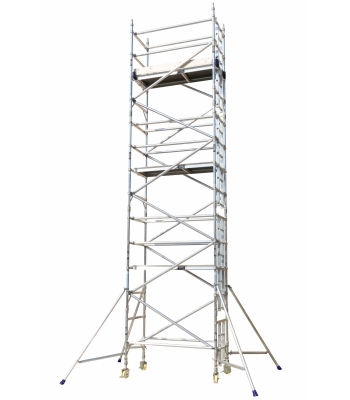 Conforms to the requirements of the 3T erection and dismantling method as set out by HSE (Health & Safety Executive). Certified to the very latest BSI Kitemark in respect to BSEN 1004 (Class 3) safety standard for your safety and reassurance. A copy of the certificates acn be provided upon request. 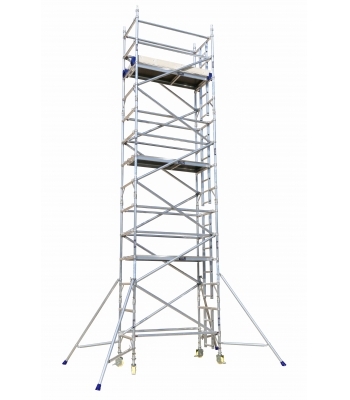 Fully compatible with SGB BoSS Towers – If you have used these towers, or hired from larger hire companies, this is what our towers are compatible to. Aluminium Tube: 50.8mm tube with a 1.8mm wall thickness. Inferior imports have 30mm – 40mm diameter 'Poles'. Two frame widths of 850mm & 1450mm. 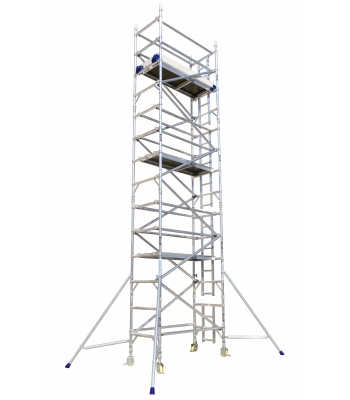 3 deck lengths available: 1.8m, 2.5m and introducing our new 3.2m. Self-closing trapdoors & simple wind lock clips. 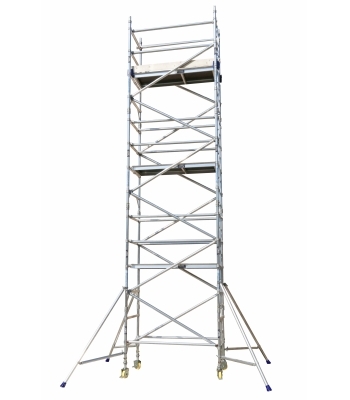 Safe working load of 275kg per platform level, up to a maximum of 950kg per tower (including self-weight). Inferior imports vary from 125kg – 200kg, but never to the current standard. Please be aware of this important difference. Patented trigger operated locking claws. 150mm locking castors, with a certified weight load of 925kg. Unique deck extruded profile protects edge of deck board. Lifetime support – Lewis offer 100% satisfaction to end users.